Found a new challenge site to play at, and I loved their inspiration photo, so I decided to use their layout for a special occasion card.....chemo graduation! 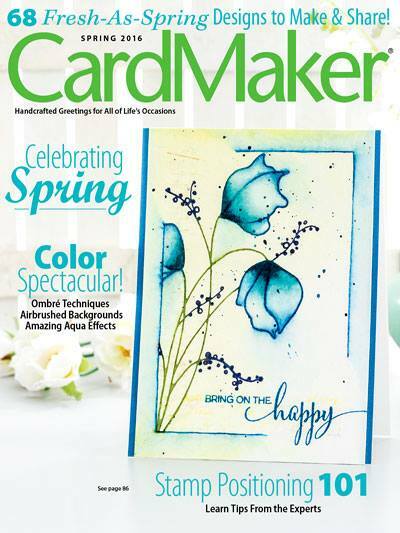 Have you been to the card aisle lately? There are no cards for this very important date in a lot of peoples lives. From our very first chemo, we know the date it will end. There should be singing, there should be cake, there should at least be a card to commemorate this special feat. You will now find this card in my Etsy shop, with plans for more coming soon. I am playing today in three challenges. I spy...Flowers, dots & words all gathered in the corner. 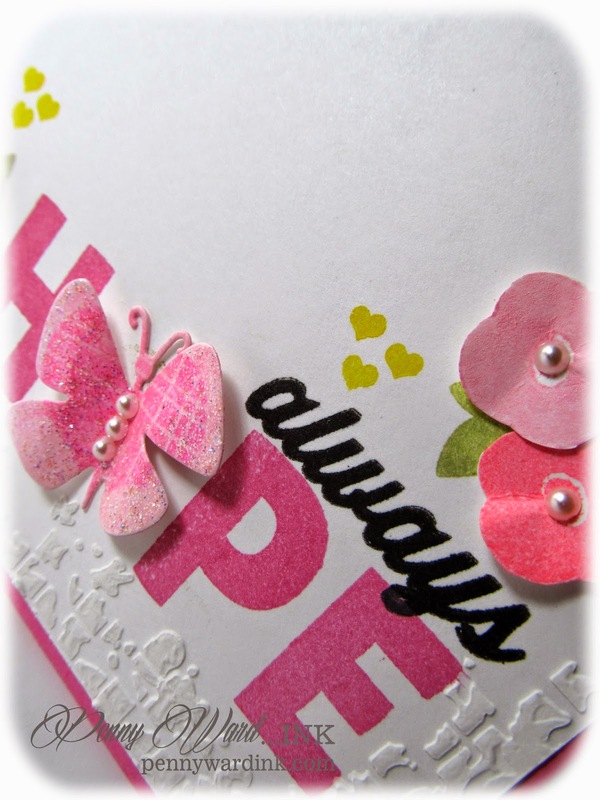 Simon Says Stamp Wednesday Challenge...Emboss it! Imagine Crafts/Tsukineko: Memento Luxe inks - Pear Tart, Pistachio, Rose Bud, Angel Pink. Radiant Neon Electric Coral & Yellow. Versafine Onyx Black. I LOVE it, Penny! You are so right, that date is ingrained in your brain....I'll bet your card will sell like hotcakes! Well done! Beautiful card! Love those cute little flowers!! Fab card!! Great job on the inspiration photo! Thanks for joining us at The Cutting Edge Challenge. Amazingly beautiful card - so full of grace, beauty and HOPE!! I love the use of the butterfly as the o in hope - such a clever and cool idea!! Hope is like a butterfly it flutters around us and brightens our world!! Awesome card!! So pretty--love all the shades of pink! Thanks for joining the Avery Elle Challenge! This is beautiful! I love how you replaced the O in hope with the butterfly- very clever! Thank you so much for playing along with the AE die cut challenge!